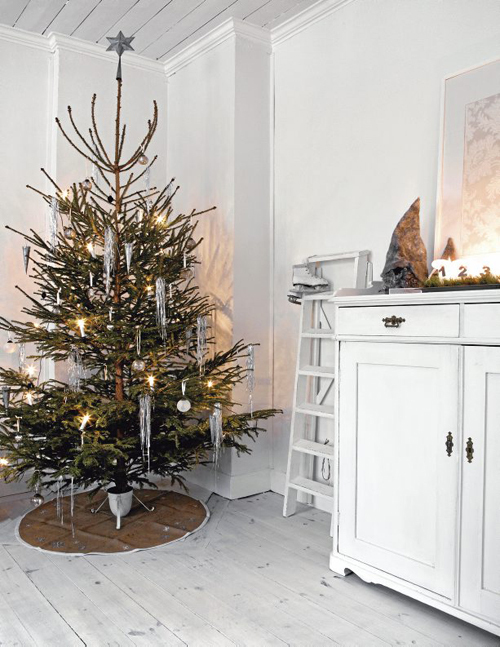 This home in Nyköpings, Sweden, is ready for Christmas. 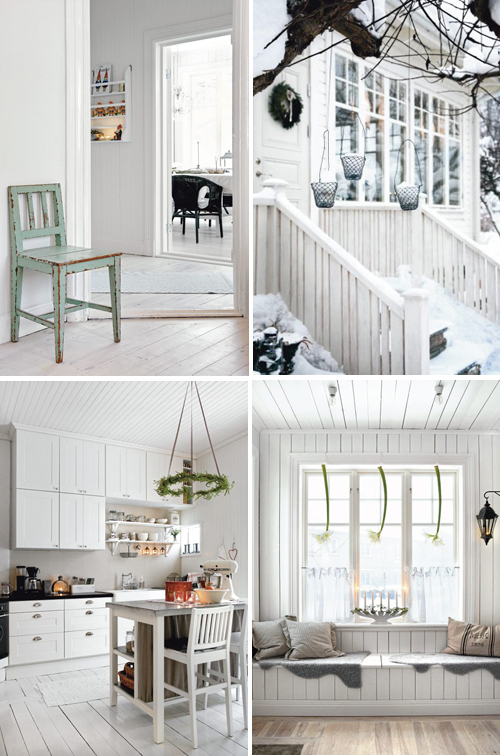 Visiting Sofia and David’s green-and white-painted wooden house is like stepping into a fairy tale by Astrid Lindgren. 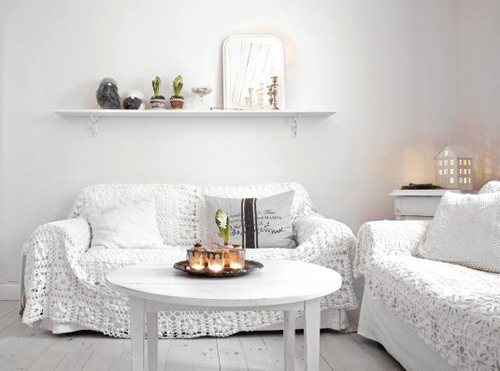 Around Christmas time the atmosphere is even more magical with decorations in white and silver.